This French Made seating chart is classy in its simplicity. The elegant font in a luxurious display, gives it a classic feel. Elegant lettering amidst a pastel pink background creates a striking contrast, while your choice of wedding font personalizes the design to your liking. 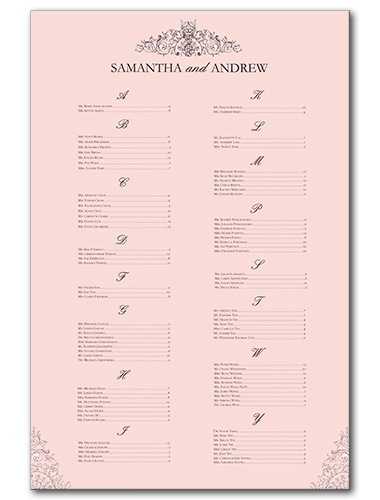 French Made Seating Chart For the best experience, we recommend personalizing your stationery on a desktop computer.